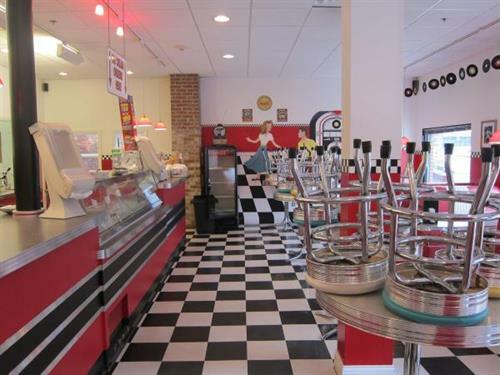 Mel's Downtown Creamery, located in the old Higgins Building, brings the flair of a 1950's ice cream shoppe to 2012. 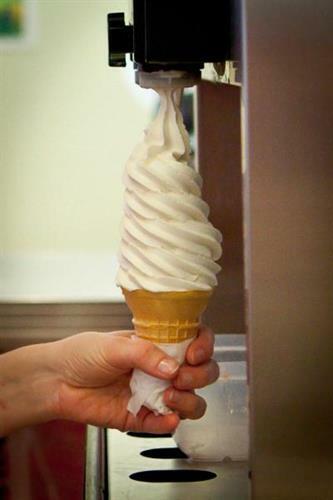 With inside seating for up to 100 people Mel's Downtown Creamery is the hot spot for a cool sweet treat. You'll fall in love with the black and white checkered floors, red walls, hanging records, and juke box mural the instant you walk in the door. Whether you're craving a quick treat for yourself or grabbing something for the whole family our friendly staff will help to satisfy your needs. 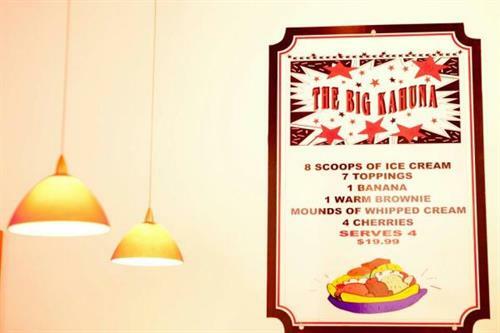 Our menu includes 29 hard ice cream flavors, Soft Serve, Shave Ice, Ice Cream Pizza, Ice Cream Cakes, Hot Soup, Dave's Coffee, Del's Soft Frozen Lemonade and more. We are open 7 days a week. 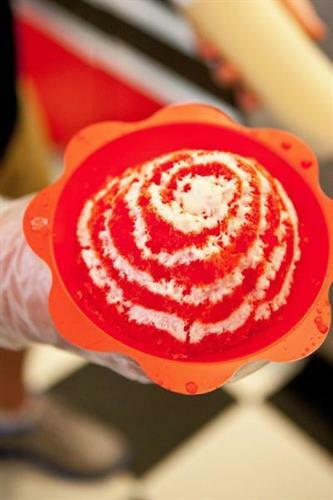 For more details find us on Facebook at Facebook.com/MelsDowntownCreamery.